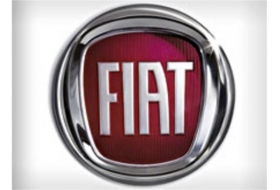 MILAN (Bloomberg) -- Fiat S.p.A. CEO Sergio Marchionne confirmed that the Italian carmaker will release new models in 2011 and said the company won't have problems meeting its targets. The new-model plan for next year, including an updated Panda, a Lancia Y and a European version of the Chrysler 300C carrying the Lancia brand, “is totally confirmed,” Marchionne told reporters in Mirandola, Italy. Marchionne also said Fiat is committed to its “Fabbrica Italia” plan, in which it will invest 20 billion euros ($28 billion) through 2014 to improve factories and vehicle development in exchange for union concessions on work rules. Fiat will separate its carmaking and industrial operations next year. In April, the company forecast 2011 revenue of 37 billion euros with trading profit of as much as 1.2 billion for the car unit. The company defines trading profit as earnings before interest, taxes and one-time gains or costs. Marchionne also said that mid-term elections in the U.S. won't affect Chrysler Group's strategy and that he'll probably raise targets for the American carmaker on Nov 8. Fiat bought 20 percent of Chrysler last year and Marchionne heads both companies. Fiat's Italian sales slumped 40 percent in October to around 38,000 cars, compared with a 29 percent decline for total registrations in the country.